Insup Lee is Cecilia Fitler Moore Professor of Computer and Information Science and Director of PRECISE Center, which he co-founded in 2008 at the University of Pennsylvania. He also holds a secondary appointment in the Department of Electrical and Systems Engineering. His research interests include cyber physical systems (CPS), real-time systems, embedded systems, high-confidence medical device systems, formal methods and tools,run-time verification, software certification, and trust management. The theme of his research activities has been to assure and improve the correctness, safety, and timeliness of life-critical embedded systems. His papers received the best paper awards in IEEE RTSS 2003, CEAS 2011, IEEE RTSS 2012, ACM/IEEE ICCPS 2014, and IEEE CPSNA 2016, and the best student paper award in IEEE RTAS 2012. Recently, he has been working in medical cyber-physical systems and security of cyber physical systems. He has served on many program committees, chaired many international conferences and workshops and served on various steering and advisory committees of technical societies. He has also served on the editorial boards on the several scientific journals, including Journal of ACM, ACM Transactions on Cyber-Physical Systems, IEEE Transactions on Computers, Formal Methods in System Design, and Real-Time Systems Journal. 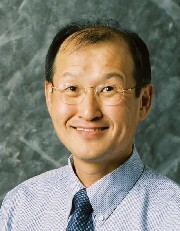 He is Chair of ACM SIGBED (2015-2018) and was Chair of IEEE TC-RTS (2003-2004). He was a member of Technical Advisory Group (TAG) of President's Council of Advisors on Science and Technology (PCAST) Networking and Information Technology (2006-2007). He is a member of the National Research Council’s committee on 21st Century Cyber-Physical Systems Education (2014-2015). He received an appreciation award from Ministry of Science, IT and Future Planning, South Korea in 2013. He is ACM fellow and IEEE fellow and received IEEE TC-RTS Outstanding Technical Achievement and Leadership Award in 2008.